Map of Bali's Nusa Penida Dive Sites. Nusa Penida is the largest (17km long) of 3 islands; the others being Nusa Lembongan and Nusa Ceningan that lie the other side of the Bandung Strait from Bali’s east coast. The water here is fairly cold, due to a cold upwelling from a deep ocean through south of Bali. But it is often startlingly clear, with gorgeous corals and prolific fish and some turtles, Grey reef and Silver-tip sharks. 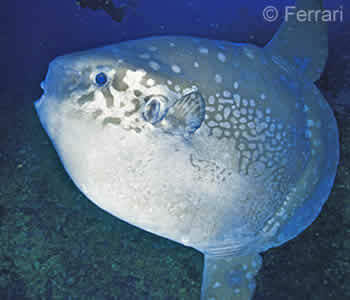 In Julyto mid-November, Mola-Mola, the weird and wonderful Ocean sunfish, can be seen here. 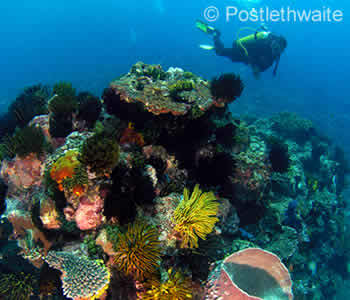 Three sites on Nusa Penida’s north coast that provide excellent spot drift diving. 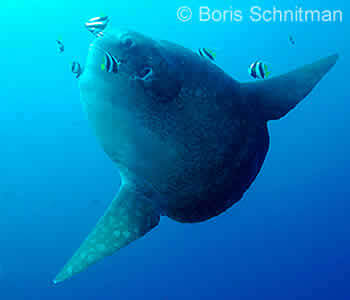 Toyapakeh is usually a popular site for Mola-Mola when they are in season otherwise a wide and interesting reef. 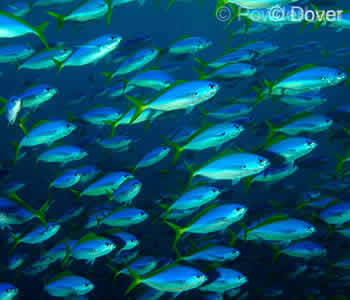 Blue Corner is another popular site during Mola-Mola season as well as being a great site for drift diving. A great site with good conditions for observing Mola-Mola; Crystal Bay also has a pretty reef and wall. Malibu Point can experience extremely strong currents, but it is usually a slow enjoyable drift dive with schooling fusiliers, trevallys, frogfish and possibly Mola-Mola. Bali’s largest variety of sharks are at this site. Although it can look rough on the surface, this site is actually only a bit surgy once you’re in the water. 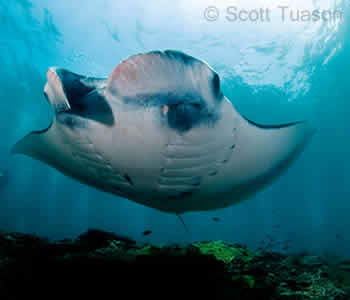 Definitely one of our most popular sites as Bali has Manta rays year round. Also known as Batu Abah, this is a great site for spotting pelagics. While Nusa Penida dive sites are perhaps best known for Manta rays and Mola-Mola, the diving here is actually great – both in terms of corals and marinelife. The majority of diving at Nusa Penida is drift diving and, as the currents are not always predictable, you need to listen to your guide’s briefing and to follow him/her underwater. The current is always less fierce the closer you are to the reef so don’t get distracted and drift out into the blue. AquaMarine suggests you carry, and practise using, an inflatable signalling device – both to indicate your location to passing boats and in the unlikely event you get separated from your group. There is an upwelling from the deep ocean south of Bali meaning the diving at Nusa Penida can be really rather cold! But that does mean the water is usually crystal-clear, bar the thermoclines. Sites that are popular here include Sental, PED, SD, Toyapakeh, Blue Corner, Crystal Bay, Malibu Point, Gamat Bay, Manta Point I & II, and Vertigo Point. Mild to strong and unpredictable. The water can get pretty cold at times. Being mostly drift diving, it is not easy to take photographs here. Prone to currents. 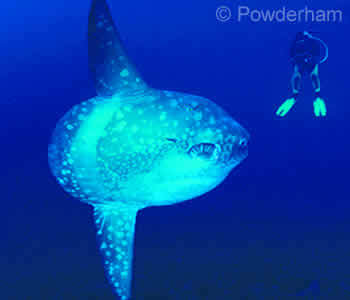 Year round Manta rays, Mola-Mola (Ocean sunfish) from July–mid November, rays, occasionally turtles, larger pelagics. Book Your Bali Diving - Nusa Penida & Lembongan Area Today!